Evolution Gaming, the clear standout when it comes to live dealer gaming, is now available at Royal Vegas Casino, marking a dream collaboration between one of the best software providers and one of the leading online casinos. Royal Vegas Casino, which is one of the longest running and most renowned casinos on the Web, has famously stayed true to Microgaming, offering games only from the Microgaming casino repertoire. While Microgaming software is tried and true, it’s left Royal Vegas lagging behind as rival casinos opt for fresher software providers with their fingers on the pulse of the latest gaming trends. The addition of Evolution Gaming marks an unprecedented move from the Fortune Lounge Group casino, adding some serious brownie points for RoyalVegasCasino.com which is sure to attract many new players from Australia and across the globe. Evolution Gaming’s live dealer blackjack software is second-to-none, with games hosted by professionally trained and courteous croupiers from sleek blackjack studios in Malta and Latvia. 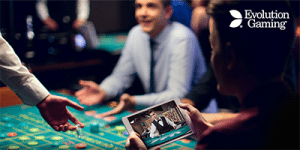 Along with the efficient blackjack hosts, Evolution’s software offers great customisable options for players, allowing you to adjust the camera quality, camera view and all kinds of other personalised selections. There’s also a chat function, where you can choose to talk with other players from around the world, maintaining the social aspects that many players miss when playing in an online casino. Although Evolution Gaming is famous for unique and quirky live titles like Blackjack Party, for now Royal Vegas is only offering Evolution’s classic live blackjack game. 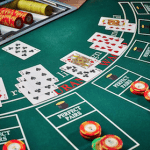 Whether or not more blackjack titles are added in the future, only time will tell, but for now you can also choose between Evolution’s variants of live roulette, live baccarat, live casino hold’em, live Caribbean stud and live three card poker. To play Evolution’s live dealer blackjack, head to Royal Vegas Casino and sign up for an account. New players can claim up to $1200 in matched deposit bonuses, available in instalments over your first three real money deposits. The live dealer catalogue is available via instant-play directly over your Web browser, or by downloading the exclusive RVC casino software. 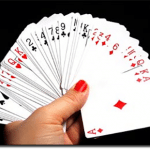 Live blackjack is not yet available for mobile play. Given the high costs of running these premium live games, unfortunately Evolution’s games can’t be sampled for free and real money bets are required to play. Thankfully, as Royal Vegas is one of the most established and trusted online casinos, Aussie players are spoilt for choice when it comes to AUD deposit options, with instant payment methods including Visa, MasterCard, Neteller, Skrill, Paysafecard and more. All payments are Royal Vegas are protected by high levels of digital SSL (Secure Socket Layer) encryption, making it a safe place to play online casino games for real wagers. See for yourself why Evolution Gaming is leading the live dealer market, and give live dealer blackjack a go at Royal Vegas Casino. New players can take advantage of up to $1200 in welcome bonuses, giving you more bang for your buck to get stuck into Evolution’s live dealer catalogue.